The Dodge City Community College International Club is organizing several events on campus the week of Sept. 15-21 in recognition of Hispanic Heritage Month and National Hispanic-Serving Institution Week. Monday, the International Club will be in front of the Student Union handing out bracelets imprinted with “What’s Your Heritage?” The hope is to spawn discussion about the importance of cultural awareness and history for everyone, not just Hispanics. On Tuesday, art professor Jennifer Nolan and the DC3 Art Club will be out underneath the balcony of the Fine Arts building creating bleach-stencil t-shirts. For best results, students are encouraged to bring a dark-colored t-shirt – although most any color will work. The art club will supply all other materials including Hispanic-themed stencils. 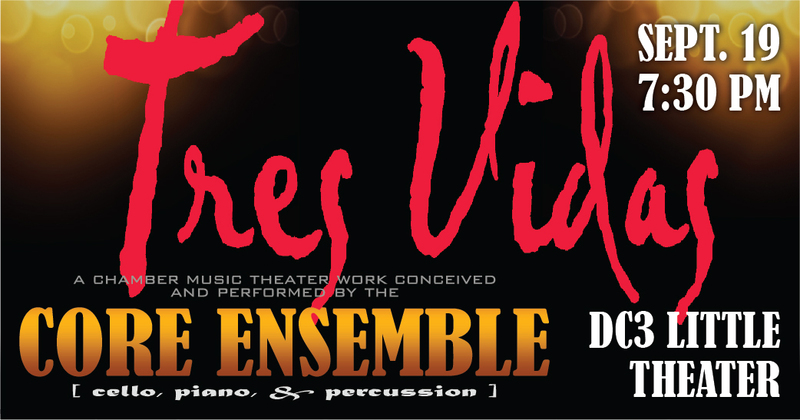 “Tres Vidas,” a unique cultural event sponsored by United Way of Dodge City and the Community Foundation of Southwest Kansas, will be performed at the DC3 Little Theater Thursday evening at 7:30. Members of the International Club will be mixing traditional Hispanic drinks like horchata, Jamaica flower, tamarindo, and agua frescas in the Student Achievement and Resource Center for Thirsty Thursday. Friday is movie night at the DC3 Little Theater with the showing of “Selena” at 7 p.m.
Sponsors for the events include: the Adult Learning Center; the DC3 Art Club, the Connection Center, SARC, and Phi Theta Kappa. Dodge City Community College is one of only three colleges in the state of Kansas designated as a Hispanic-Serving Institution. Title V of the Higher Education Opportunity Act of 2008 defines HSIs as institutions of higher education with 25 percent or more total undergraduate Hispanic enrollment.